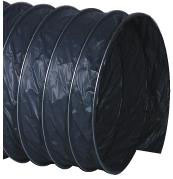 Designed for efficient installation and engineered to precise standards, our flexible duct sets the standard in quality and dependability. Unique to others in the industry, we manufacture flexible ductwork without the use of glues or adhesives. The mechanical-locked inner core maintains its shape at all 90° bends and offsets, t hus eliminating the need for extra reinforcement. This manufacturing process produces a flexible duct with the highest performance credentials of any flexible duct. The Flexmaster U.S.A.® 20 year warranty is unsurpassed in the HVAC ductwork industry. 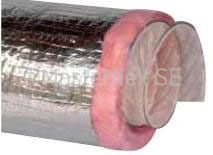 Type 9M flexible duct is backed by a 5 year warranty.